Andrés Zuluaga is a Colombian born drummer with a BA in music from Azusa Pacific University located north east of Los Angeles, California. He’s worked with many artists including Gwen Stefani, Luis Fonsi and Abe Laboriel amongst others. The countless list of venues goes from the Madison Square Garden in New York, Tacoma Dome in Seattle, to Pascual Guerrero Stadium in Cali and El Campin Stadium in Bogotá, Colombia all these topping audiences of 40k+ people. Andrés is currently working for the multi Latin Grammy winner Chocquibtown. The band has toured the US, Europe, Mexico, the Bahamas and South America. “El Mismo”, their latest work, was awarded with a second Latin Grammy and had the chance to perform for the live cast at the annual Latin Grammys from Las Vegas, Nevada. 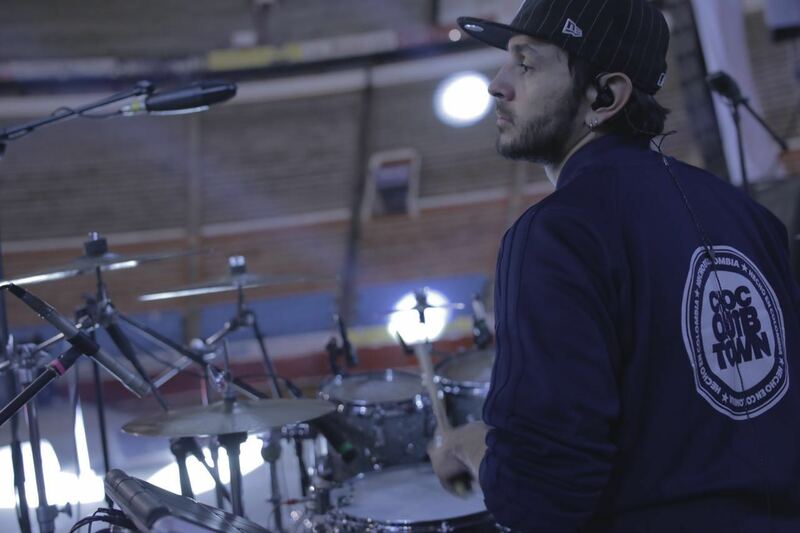 Andrés Zuluaga endorses Sabian cymbals, Vic Firth sticks, Cleartune Monitors and Humes and Berg cases exclusively. Andrés has his own electronic/percussive project LA Rootchestra and jams with the hard rock band Nuevos Animales Domésticos. As a matter of fact, Andrés teaches drums at EMMAT: a music school part of the BIN (Berklee International Network) where he’s been part of the staff for over three years. He also has a degree in marketing and management from EAN University in Bogotá, Colombia which has enabled him to oversee his projects more professionally. On the other hand, Andrés races go-karts in his spare time in the professional category of Easykart at a national level.